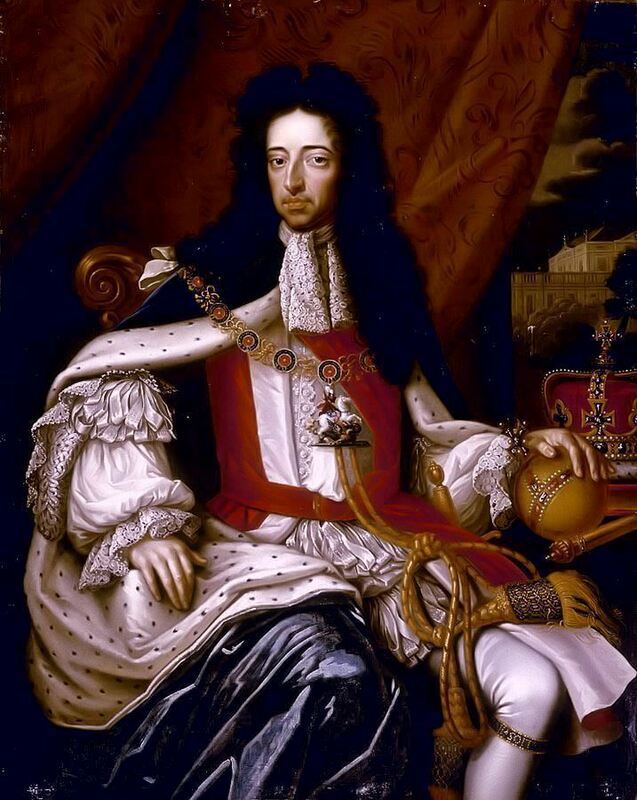 William III also widely known as William of Orange, was sovereign Prince of Orange from birth, Stadtholder of Holland, Zeeland, Utrecht, Gelderland and Overijssel in the Dutch Republic from 1672 and King of England, Ireland and Scotland from 1689 until his death in 1702. A Protestant, William participated in several wars against the powerful Catholic king of France, Louis XIV, in coalition with Protestant and Catholic powers in Europe. Many Protestants heralded him as a champion of their faith. When his Catholic father-in-law James became King of England, William, supported by a group of influential British political and religious leaders, invaded England in what became known as the "Glorious Revolution". On 5 November 1688, he landed at the southern English port of Brixham. James was deposed and William and Mary became joint sovereigns in his place. They reigned together until her death on 28 December 1694, after which William ruled as sole monarch. In 1702, William died of pneumonia, a complication from a broken collarbone following a fall from his horse, Sorrel. He was buried in Westminster Abbey alongside his wife. His sister-in-law, Anne, became queen regnant of England, Scotland and Ireland.